There have been a few times lately when I needed a trivet - that's a little raised up item to put a hot pot on. 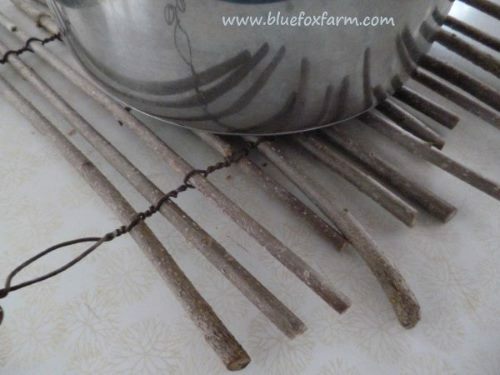 Called a 'trivet' they don't always have three legs; I made this one out of twigs which I've had drying out in the greenhouse, just waiting for the right rustic craft to make. They are Syringa josikaea, or Hungarian Lilac. Not grown for their lovely flowers or evocative scent, these tend towards really straight fast growth, perfect for grafting other forms of lilacs onto to make a standard tree. As a graft, the finished tree is prone to 'water sprouts' which tend to emerge from the roots. 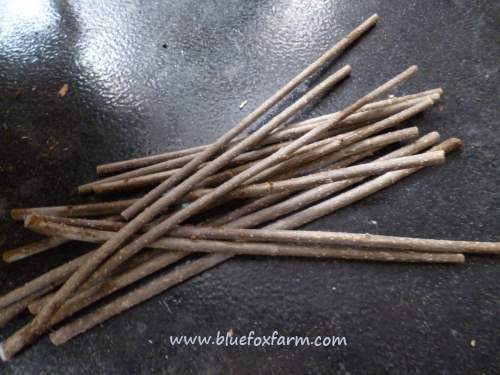 The root stock is more vigorous than the graft, and will take over; hence the need to prune them off every year. I like them because of the 'lenticels'; white markings on the stems. Other items that I need are a pair of needle nosed pliers, and tie wire. 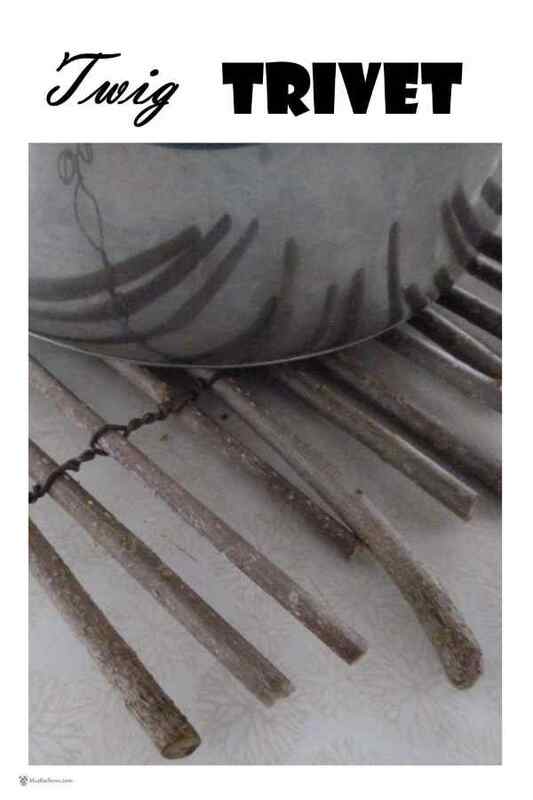 You can see more about the tools that I recommend, and some wire techniques for crafts here. Two pieces of wire are folded in half, and then each twig is wrapped in the wire. 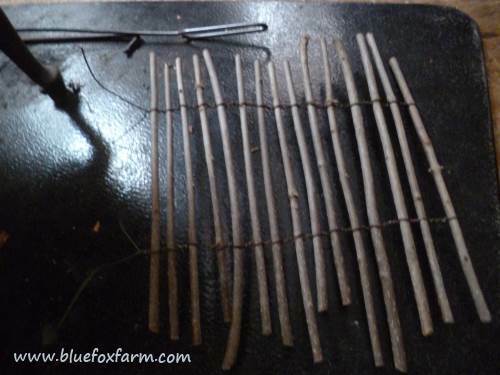 It's important to twist the wire tightly, or the twigs are too loose and tend to come out. The finished twig trivet has a loop in the wire, so I can hang it up, ready for use. Should I trim off the ends, do you think, or just leave them rustic and ragged?